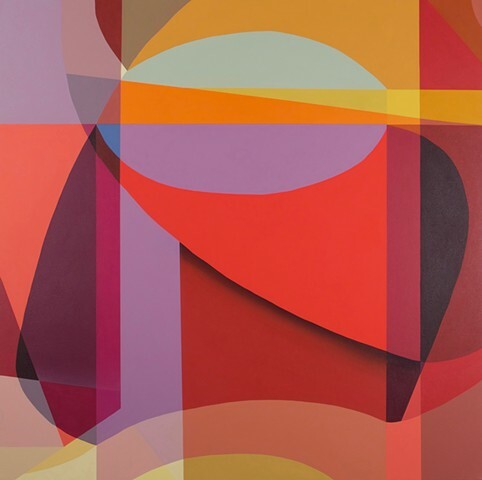 My work reflects a fascination with the phenomena of seeing and how we perceive color. The paintings require time for active viewing so that the eye can experience intended simultaneous contrast. Optical vibrancy and transparencies create jittery edges and subtle spatial shifts that are in continual flux. Color interactions create space beyond the picture plane in the liminal space of Hans Hofmann’s “push-pull.” There are ample references to the work of Albers and Chevreul, with a nod to Bridget Riley and Op art too. I am striving for a physical, palpable experience for the viewer that embraces a tactile awareness of the world around us.